AutoBlock will revolutionize the auto industry and make it transparent so sales and purchases can take place without mishaps. A car sales portal for car dealers that accept the AutoCoin to advertise their stock free of charge, opening up new markets for them. BitcoinBing is a trading engine, active platform development and a customizable interface offering secure trading with 0% fees when you use the Bing token. Superbloom is a decentralized exchange that allows users to earn free tokens just by holding SEED. Anytime a new token is listed on the Superbloom exchange, all users holding SEED at that time will be airdropped tokens. Coinbates is a decentralized platform that offers money back for purchases using Cryptocurrency. Shop at your favorite merchants such as Target, Macy's and more while earning crypto cash back rewards. BRAVO started in 2014 and set out to revolutionise the tipping and anonymous payment industry with their seamless mobile payment application. In 2017, BRAVO was featured on ABC's SharkTank and got a deal with Mark Cuban & Lori Greiner. Spheroid Universe is a decentralized Augmented Reality platform, allowing users to purchase, own and trade virtual spaces that are tied to physical locations on earth. Each Space can hold various kinds of AR content. Thanks for joining @ICOsandwhich today! I signed up for Superbloom a few months ago. I also followed the founders closely on twitter. I think that apart from the decentralized exchange they're trying to build, their other project of calling out scam Projects on the blockchain will help investors avoid being scammed. Thanks for the contribution. Talking about exchanges, do check out Trade.io exchange. They're permitting commission-free trading for this period up till October. I have loved it so far there. There's also a liquidity pool that allows you earn daily cryptocurrency rewards for life, just by holding and leasing their TIO tokens. Thanks for the free crypto!!! Hi @icosandwhich, the value in usd of the coins you listed where did you find? I try to check in Coinmarketcap and none of them is present, except ATC but it is Arbitracoin and not Autoblock. I would look into Crowdholding as well, they are a cryptocurrency platform where you can earn crypto for giving feedback to startups. They have over 28k signups and 50 different projects. It's completely free and a great place to earn tokens without investing or mining. Sounds like a good place to be. I will take a look at it when I'm free today. I have opened it on a different tab. Here's one of mine: Check out Trade.io exchange. They're permitting commission-free trading for this period up till October. I have loved it so far there. There's also a liquidity pool that allows you earn daily cryptocurrency rewards for life, just by holding and leasing their TIO tokens. 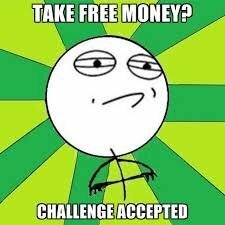 I think this is another good way as any to earn some free cryptocurrency everyday just by holding 2500 tokens. Signup referral get 25 Tokens free after your referral makes 100 tokens! Search & Earn is the easiest method! of course! @pheonixdown-dee . I checked out crowdholding ... they are pretty cool. estoy interesada e esto de los airdrops, me he registrado y en ocaciones me llega el bono pero en otras no y creo que son la mayoria. ¿esto por que será? ¿estas que estan publicadas aqui si son ciertas completamente? You got a 35.05% upvote from @booster courtesy of @icosandwhich! Habe gerade bei ATC angemeldet. Yeah - the hourly return rate of using faucets would be far below minimum wage. You'd be better of even considering survey sites / Mturk and putting any cash made directly into crypto. 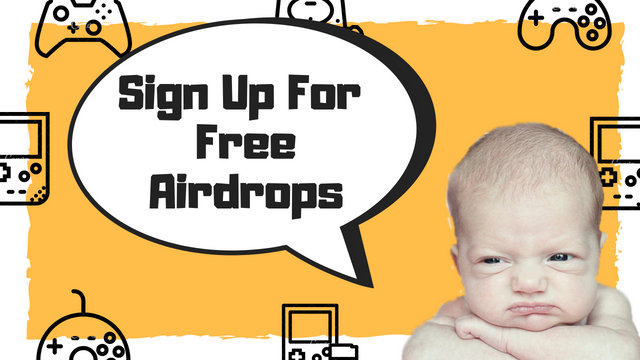 @jondavenport, do you know of anything better than airdrops currently? Can't suggest much aside from part time online work (Like lionbridge, Leapforce) which pay about £10 an hour for fairly mundane work, about 10-20 hours a week. That's nearly a grand a month one could put into crypto. Mturk is okay - lots of little jobs that pay fractions of a £ - can make about £5 an hour until you specialise (after few months) - can then go up to about 10. If you know any languages you can do online transcription work and make quite a bit of cash (10-25 an hour). Fiverr also works, presume you know about that as is fairly well known. Not sure what else to suggest really. You got a 46.01% upvote from @postpromoter courtesy of @icosandwhich! Guys am new please follow me. I am focused on 2-3 months from now to claim all my coins! Agree with you airdrops are good optain but need lot of patience and time. wow! very informative and a lot of new idea thanks for sharing. This post has received a 81.09 % upvote from @boomerang. I think this is also an easy way to be a millionaire. Why do that when you can be a millionaire by just joining on this event right? Lets all join! Great article, upvoted and restemeed! be sure to sign up for our newsletter to get even more free crypto @rivasoliver! to real @worldfinances ... do you know of any other ways to easily earn crypto? I trade stocks, commodities, options and some cryptocurrencies. I don't even try to earn "easily" because I think this is not really profitable and is pretty time consuming. thanks @hanen, glad you like the content. I'm planning on starting a subscription service where you automatically get signed up for all of the best airdrops. Would you be interested? ¿¿¿si pero como cobro en Aeronave (AVO) en que billetera que en verdad no se de verdad nos e???? its good for me ! thanks a lot!